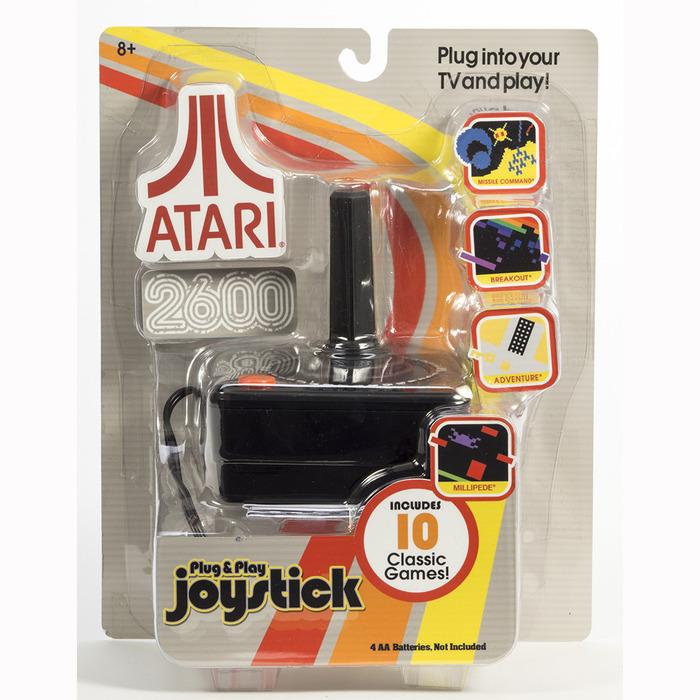 Based on the iconic Atari 2600 gaming console, the Atari Classic Games Joystick plugs directly into your TV and offers ten different classic Atari games including Asteroids, Breakout, Centipede, Missile Command and more! 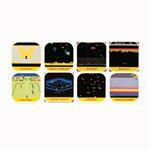 The games feature retro graphics and all the original gameplay, without all the cartridges. The Atari Plug and Play Joystick Features: Authentic 80's graphics, sounds and game play Includes Adventure, Asteroids, Breakout, Canyon Bomber, Centipede, Crystal Castles, Millipede, Missile Command, Real Sports Volleyball and Warlords! 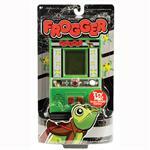 Frogger Arcade Game looks and plays like the 1981 original with an arcade style joystick and sounds too! No coins required just click the start button and start shooting mushrooms and spiders while avoiding scorpions and fleas. You remember "Waka, Waka, Waka," don't you? 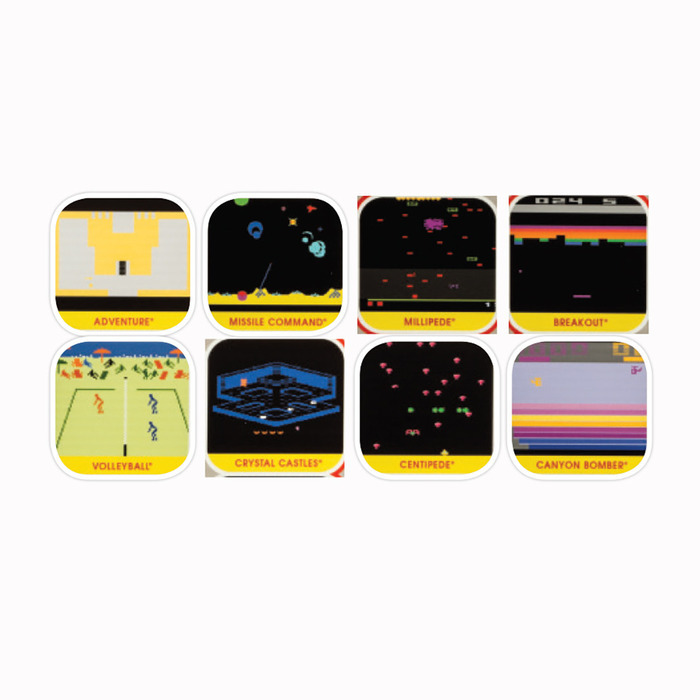 Well, believe it or not, it's been 20 years since pioneering arcade games like Pac-Man and Centipede® made the impact around the world that still is felt today. 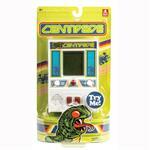 Centipede Arcade Game looks and plays like the 1980 original with an arcade style joystick and sounds too! 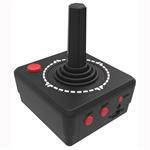 No coins required just click the start button and start shooting mushrooms and spiders while avoiding scorpions and fleas. 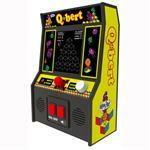 Q*Bert Arcade Game looks and plays like the original with an arcade style joystick and music too! No coins required just click the start button and start jumping around the 3D isometric cubes avoiding Slick and Coily. 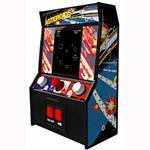 Enjoy retro arcade fun in miniature format! 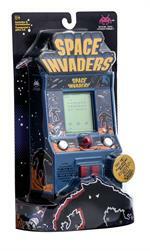 Space Invaders features classic joystick action and authentic arcade sounds.